Win a family 4-pack to one of the most special holiday celebrations in North Texas on December 8th and 9th from 3pm – 9pm at Dallas Heritage Village! Travel back in time and witness the annual Candlelight holiday celebration, where you can sing along with strolling carolers, tell St. Nicholas your holiday wishes, and make holiday crafts. 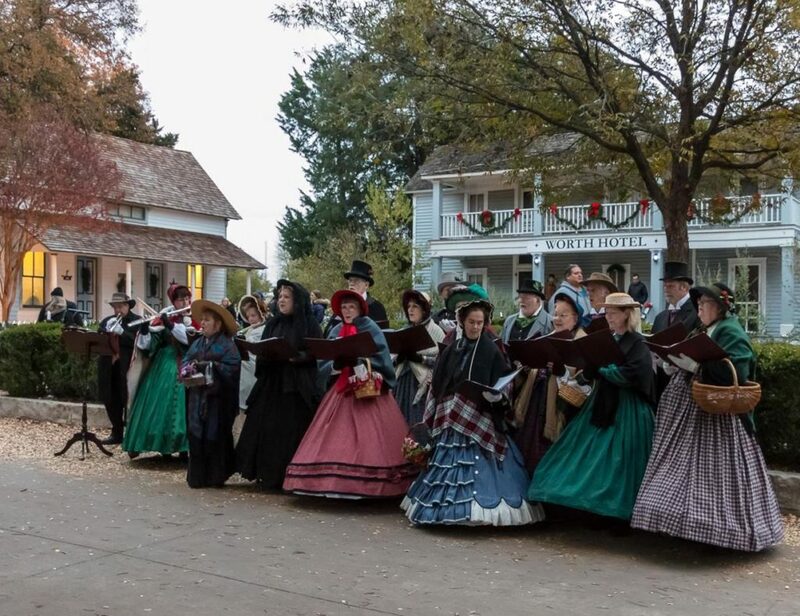 See the Village decked out in festive lights and traditional decor, take a wagon ride, listen to local groups perform and indulge in festive foods like homemade bake-sale items and traditional kettle corn (or stop by one of the many food trucks). The Contest begins at 12:01 AM Pacific Time (“PT”) on Monday, November 19, 2018 and ends at 11:59 PM PT on Monday, December 3, 2018 (“Entry Period”)—Any entries received after the Entry Period will not be eligible for judging.